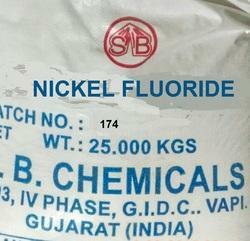 We are manufacturing a wide range of fluoride chemicals that includes aluminum fluoride, sodium fluoride, potassium fluoride and magnesium fluoride. 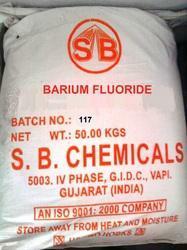 Most of these fluorides chemicals, with the combination of different other chemical are used for various industrial applications. Most importantly it is used for aluminum metal production in aluminium smelters, drinking water fluoridation and the manufacturing of fluoridated dental preparations. 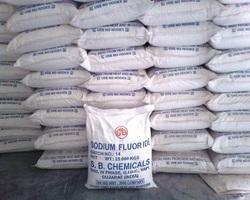 Potassium fluoride finds application in various organic chemical synthesis. Our company is one of the trusted Sodium Fluoride manufacturer and supplier that is used as an electrolyte in production of Aluminum as well as IP grade sodium fluoride for pharma intermediates, tooth paste, cosmetics applications etc. In foundry as curing flux and in ceramics. 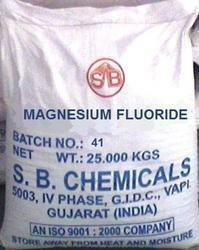 With the support of our expert chemical analyst and other supporting staff, we are Magnesium Fluoride manufacturer and supplier. This magnesium fluoride is also known as Sellaite and Airtran, Magnesium Fluoride is used in the electrolysis of aluminum ore and anti-reflective coatings. Purity as MgF2 97% Min. 98.5% Min. Moisture 0.5% Min. 0.10% Min. Silica as SiO2 1.0% Max. 0.20% Max. 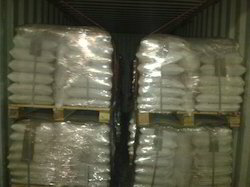 In 25 kg HDPE Bag with LDPE liners or as per customer requirement. - 200 BSS Mesh: 98% Min. Heavy metals as Lead: 0.005% Max. Availability: The product is made to order and is not available in stock. Packaging Details: 25 or 50 Kg in plastic woven bags with liner.